Name: M.P. Witwer, but many of my social networking friends know me as Maggie Rascal. I grew up in Central Washington, then spent 10 years in Colorado before moving back to Washington state in 1998 and settling in the Seattle suburb where we still live. I have a degree in journalism and have worked in the communications field in several roles: newspaper reporter, copy editor, media relations and publication director for a professional sport, and independent publication and communications consultant. In 2010, my focus shifted to writing short stories and poetry. My husband and I have been married for 32 years and have one adult daughter. In terms of publishing, I recently released a new short story in ebook format. 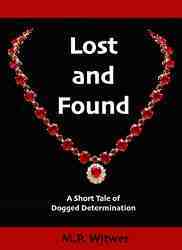 It’s called “Lost and Found: A Short Tale of Dogged Determination” and is available at all major ebook retailers—for free at most of them. I’ll have another title coming out soon which will include a pair of standalone but related stories about a woman and her siblings coping with the unexpected death of their mother, and a collection of short stories is on the docket for early next year. Work has begun on my first full-length novel, but it is still in the very early stages. I’ve been writing in one form or another, well, since I could write. It wasn’t until just a few years ago, however, that I started writing for pleasure again. After being away overnight to visit my mother, I came home to find four pairs of my husband’s pants scattered on our bedroom floor. Far from being angry, I found myself amused by the scene, and grabbed a notebook. The humorous poem that resulted, “The Pants on the Floor,” is the most popular piece posted on StoriesSpace.com, and still my personal favorite. It reminded me that writing can be fun, and even silly, and still be good. That’s a good question. I can’t pinpoint the exact moment the notion occurred to me, but my recollection is vivid of the first time someone asked me the dreaded “What do you do?” question at a social function and, rather than hemming and hawing and mumbling something about it being complicated, I looked the person in the eye, smiled, and said, “I’m a writer.” It was at a wine tasting in October 2012, shortly after one of my stories placed in a writing contest. Maybe having a story place in a contest was what prompted my confident response. Or maybe it was the wine. A great many things inspire me. I enjoy the challenge of writing for contests with specific requirements. 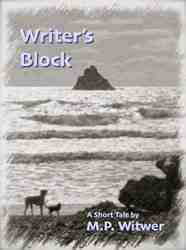 For example, my story “Writer’s Block” was for a contest that required entries to include a cat, a friendly Rottweiler and the phrase, “It was a dark and stormy night.” Those are three things I probably wouldn’t have come up with on my own, but it sparked my imagination to weave them all into one story. Some of my pieces are satires or parodies of various “internet types” I’ve run across on message boards and forums. Others were inspired by real-life events but take a more serious tone. Much of my work has a touch of humor. Aside from that, I have written in a number of different genres and try to take a different approach based on the intended audience, yet I suspect that a regular reader of my work could pinpoint a piece as mine even if it weren’t credited. The title is often among the first details that come to mind for me, and so it was with my early-stage novel-in-progress. Its working title, “A Visit From Harry,” fits the story well, but I can’t say much beyond that that this point. No, I’m not trying to convey any particular message with it. While I hope it is all realistic, it is also all fictional. Not in this book. It is loosely based on a news story I read a few months ago. John Steinbeck’s work most influenced my life, because it was his writing that sparked my desire to be a writer. 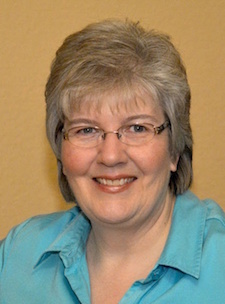 My friend and critique partner, Cecilia Rogers, is a fantastic writer in her own right and has been a wonderful mentor to me in many regards. Although I’m not sure they’re considered new authors, two writers just published in the past couple of years are on my must-read list: Robb Grindstaff and Allison M. Dickson. It’s impossible to overstate the debt of gratitude I owe to my critique partner, Cecilia Rogers. She has been there for me every step of the way since we became acquainted seven and a half years ago. Yes, although I don’t expect it to be a particularly lucrative career. I can’t think of anything I would change. My interest in fiction writing grew gradually over the years. It probably began when I read “The Pearl” by John Steinbeck in seventh grade, but I didn’t pursue it for many years. “He would never forget those hands.” Karen frowned, crossing out the inscrutable sentence. Eventually, just one line of dozens remained: “Relief came, then tears: ‘It’s benign.’” Perfect. With a wan smile, she nodded in faint satisfaction. Upon hearing her name called, however, Karen’s anxiety returned. She stowed her notebook, rose unsteadily and followed the nurse—clutching a fervent hope that life was about to imitate art. I’m finding the most difficult part for me is writing longer for the novel. My inclination is to make everything as tight and brief as possible. John Steinbeck has been a favorite of mine for many years. I also like Tom Wolfe, Larry McMurtry, Barbara Kingsolver, Tom Robbins, Margaret Atwood and others I’ll probably regret not listing. What strikes me about all of their work is that, while the subjects they tackle certainly aren’t simple, the writing is easy to read. In my mind, that is the hallmark of a great writer. No. My stories take place in locations familiar to me. I am continually learning new things. Begin at the beginning. Study and practice the craft of writing before setting out to write a book. Take classes, read books, peruse websites. Post your work on writing sites and learn from the critique it receives. Mostly I’d like to say thank you! I write for the reader, not for myself, and the largely positive reception that has greeted my work is gratifying. I like to think I’ve written something that resonates with readers on some level. The first book I remember reading on my own was “Cannonball Simp,” a children’s book by John Burningham. Shortly thereafter, however, I got hooked on biographies. There was a terrific series of children’s biographies, mostly on famous Americans. I can’t recall the name of the series or the publisher, but I devoured those books. The first one I read was about Abraham Lincoln. Like most of my family, I have a dry sense of humor. Word play and observational humor rarely fail to make me laugh. As for what makes me cry, it has to be something that touches me emotionally, in either a good or a bad way. I’ve always admired Linus Pauling. Not only was he brilliant, but he was thinking outside the box before it became a cliché. Honestly, that isn’t something I’ve thought about. I make custom artisan clay tiles. Among current television shows, we enjoy “The Big Bang Theory” and “Resurrection,” and we’re looking forward to the new season of “Downton Abbey” when it airs in the U.S. next month. It’s hard to pin down my favorite movie, but “Being There,” “Rear Window” and “The African Queen” are three that spring to mind. I probably would have gone into work with a nonprofit organization.